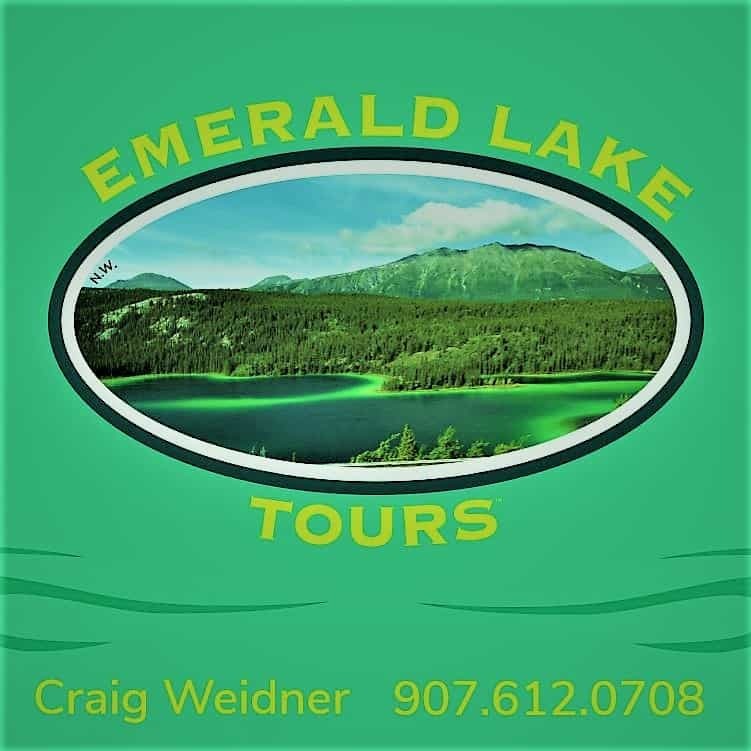 We offer private and group van tours from Skagway, Alaska to Carcross and Emerald Lake. 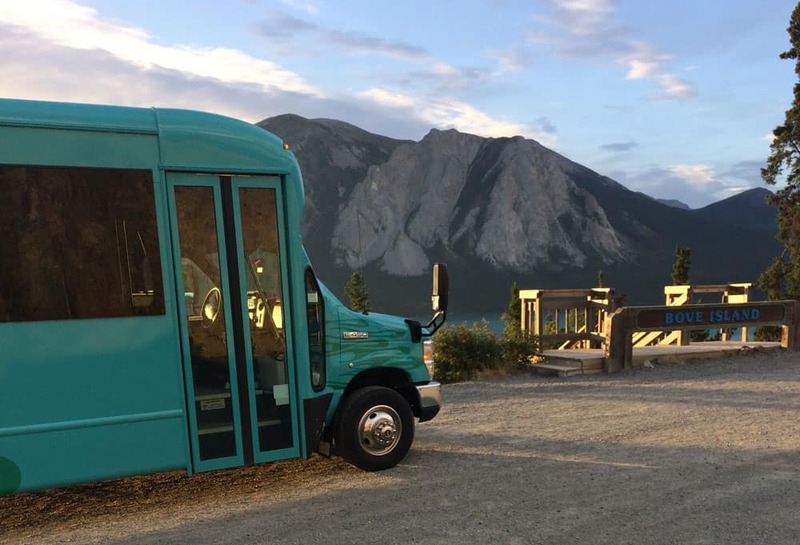 We can accommodate groups of up to 45 people. Our tour guides are locals who know how to show you the best of the North. 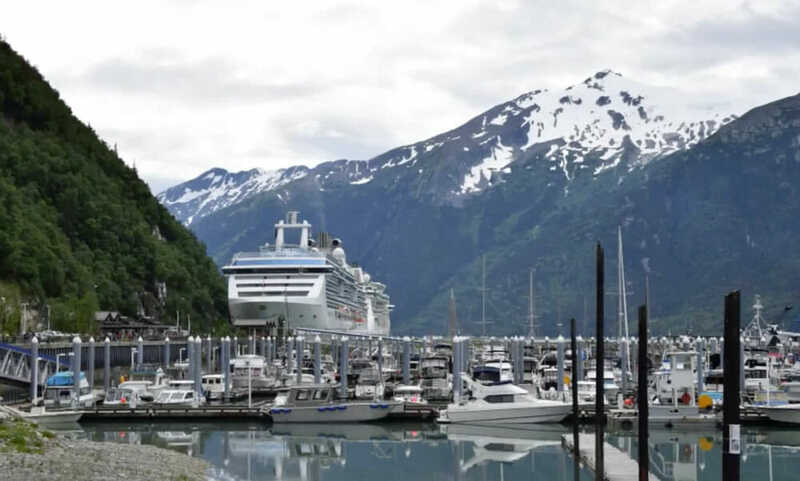 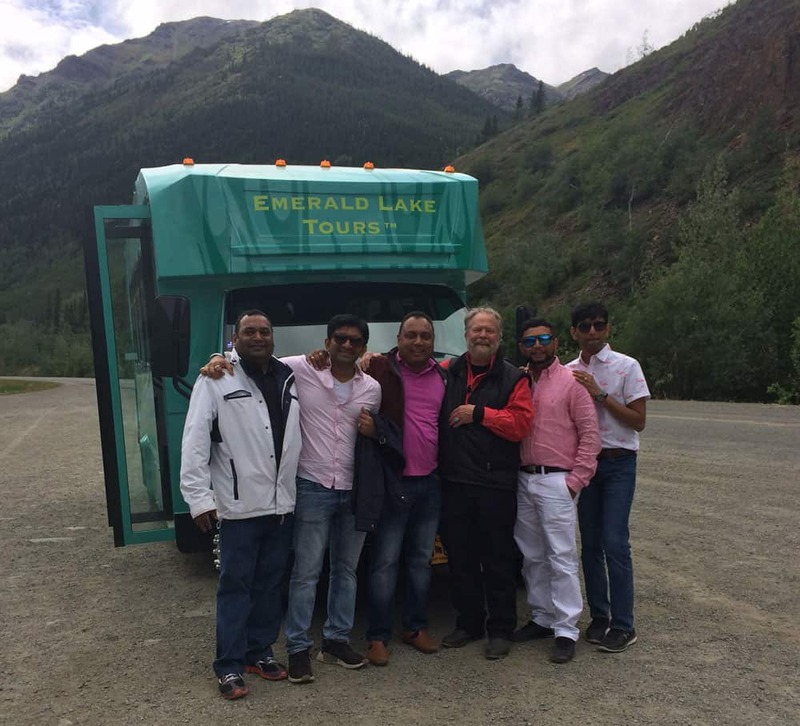 We offer several Skagway tours and Yukon tour options, but we can create a custom itinerary for your Alaska bus tours to suit your group’s needs! 3.5 – 4 hours for those who just want to get ‘er done! 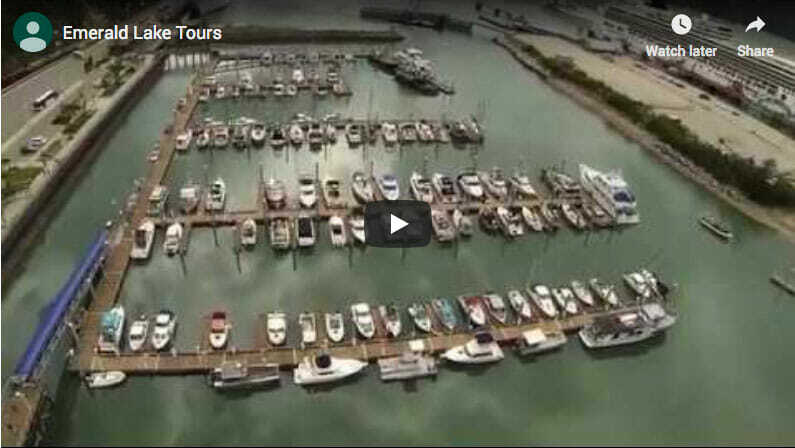 Doesn’t matter if your group is 2 or 22 persons! Get all the details of our Private and group tours from Skagway Alaska to Carcross and Emerald Lake. Our standard tour includes the Skagway overlook, Pitchfork Falls, International Falls, the Tormented Valley, Lake Tutshi, Yukon, Bove Island, Yukon, Carcross Yukon, and Emerald Lake, Yukon. 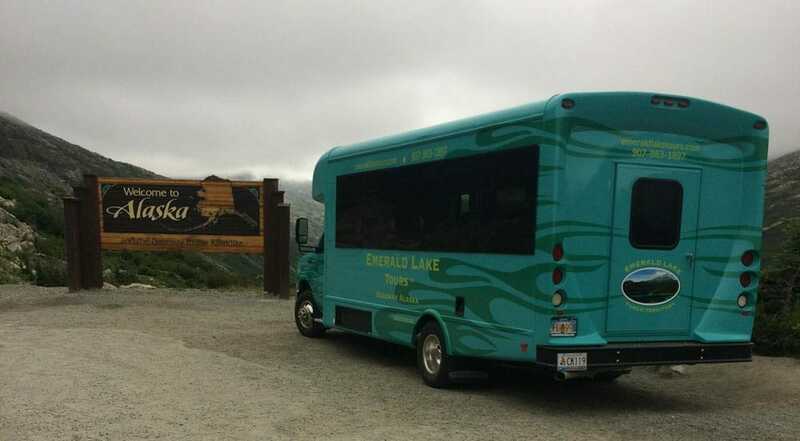 Our standard tour is 6-7 hours and are a 160 mile round-trip. 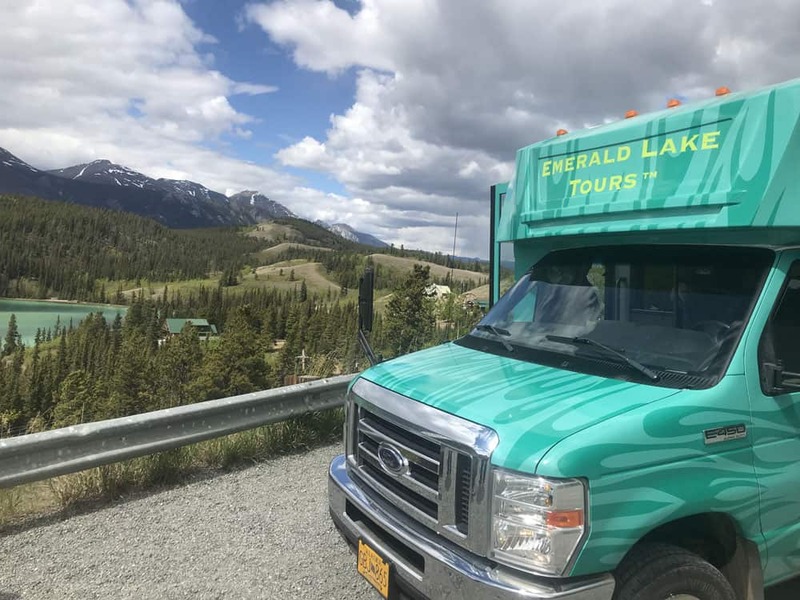 The drive out of Skagway to Emerald Lake is touted as one of the most spectacular drives in the North. 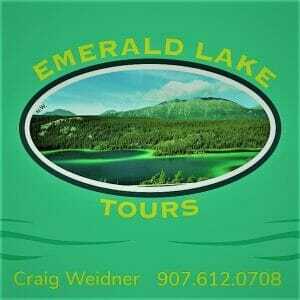 If you take one of our tours we are confident you will agree. 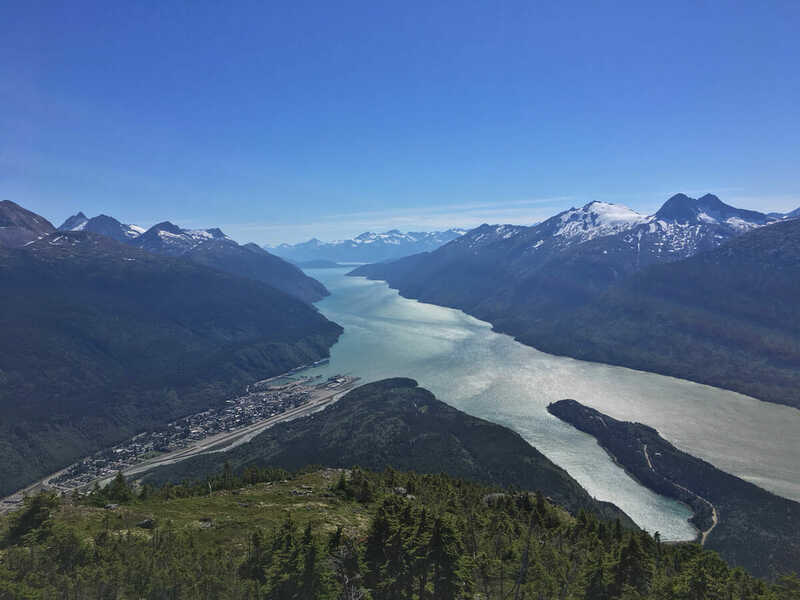 Check out this video that shows aerial views of Skagway, the White Pass, Carcross, and Emerald Lake. Enjoy a private tour for your group. We pick you and and return you to your ship. 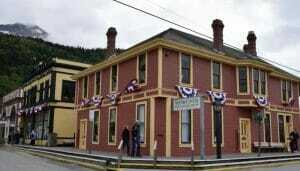 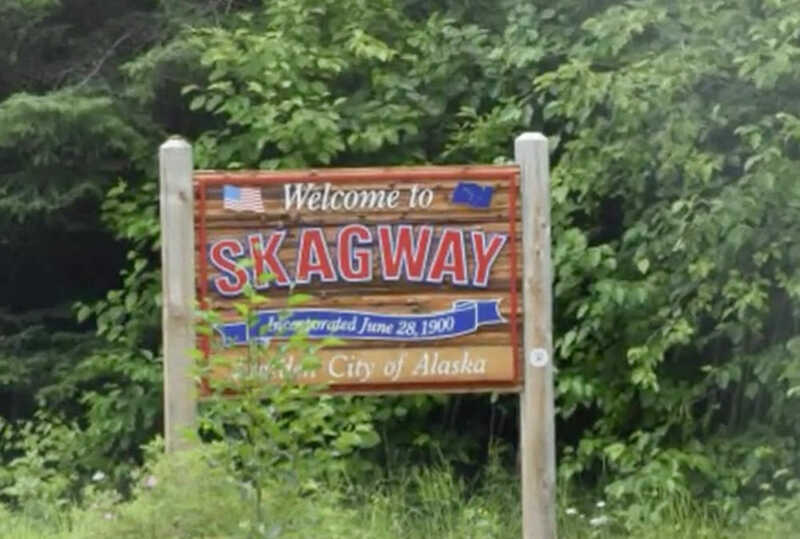 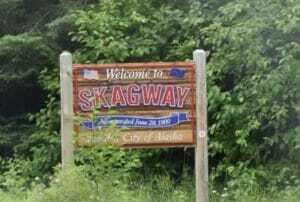 Experience the best of Skagway with our local guides. 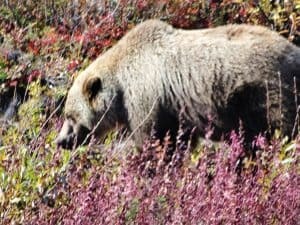 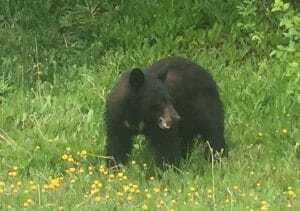 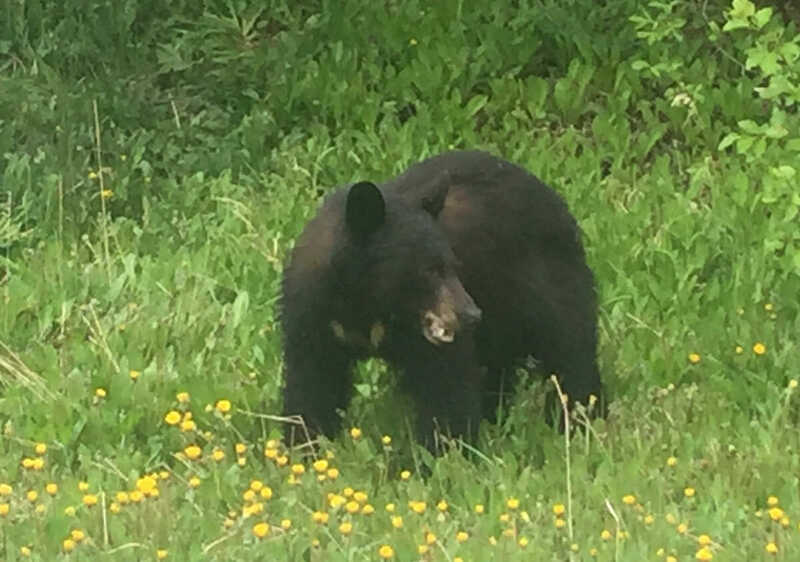 Once in a while this is what you can see on a tour with a local Skagway tour guide from Emerald Lake Tours.